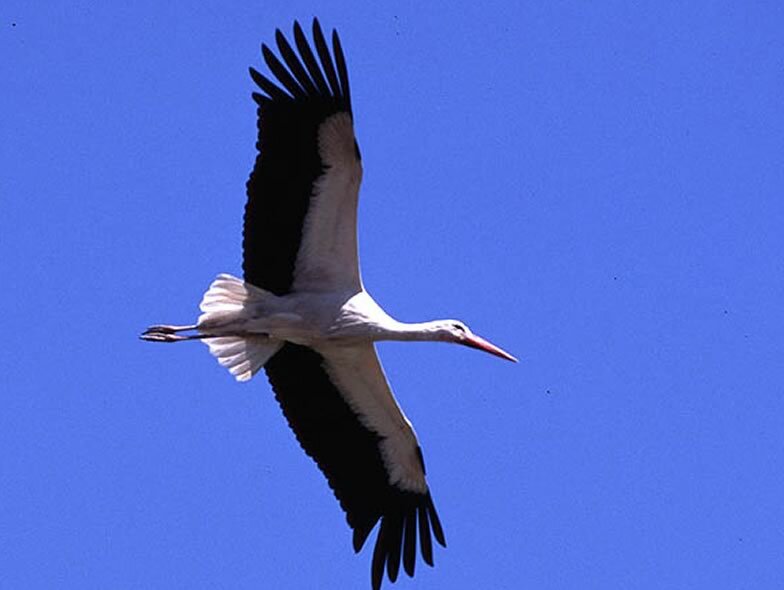 The white stork went extinct in Switzerland in 1950 - shortly thereafter Max Blösch started a reintroduction project. This project was successful and the population increased to about 200 breeding pairs. In a series of works we evaluated the chances that the white stork population can survive in Switzerland also in future, we estimated the proportion of storks that died at electric power lines and tested whether this human-induced cause of mortality is additive or compensatory to the natural mortality. Using data of white storks from Poland and eastern Germany, we finally modeled the annual survival probabilities in relation to environmental correlates in the wintering areas. This study showed that primary production at migratory stopover sites can have an impact on annual survival, and thus on population dynamics.